Behind every enduring program or innovative initiative there exists a bank account from which nonprofits can draw to fund activities and maintain impact. Challenges can occur when program costs don’t quite match up to the dollar amount in that bank account. Unstable financial situations draw nonprofits’ attention away from accomplishing their mission, introducing stress and anxiety into an otherwise empathetic and compassionate workplace. To help ensure that nonprofits remain financially viable and can continue carrying out the good work associated with their missions and intended impacts, organizations must take proactive steps to cultivate shared leadership over the finances of the organization. 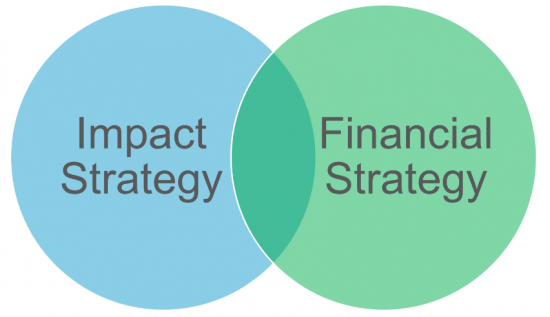 Drawing on financial best-practices, Spectrum’s services provide nonprofit staff and boards with the knowledge, skills, and dispositions they need to contribute positively to the organization’s overall sustainability and nonprofit financial analysis activities. The following sessions highlight the deep interconnectedness between an organization’s finances and the intended impact. You’ll be introduced to and apply various finance concepts with the goal of increasing your capacity for nonprofit financial analysis. These sessions are designed for program associates, directors, or officers. You wouldn’t open a bakery without knowing what it costs to bake a dozen cupcakes. Likewise, financial health for nonprofits starts with understanding programmatic costs and that begins with the detail oriented but important task of coding expenses. In this session, we will peal the onion of expenses by classifying and allocating costs, defining for participants the differences between direct expenses and shared costs, a challenging subject for even the most experienced nonprofit professional. This workshop covers the most common cost allocation techniques including full time equivalents and square footage. We’ll walk through a case study in how to use a cost allocation plan. Differentiate among program, shared, and supporting costs (direct expenses, common costs, and administrative costs). Evaluate allocation techniques to determine an appropriate plan for your organization. Split cost and allocate revenue to determine the profitability of programs. Use cost allocation information to inform strategic revenue choices. Your organization has already cut expenses across the board to try and rein in costs. You’ve asked your staff to take a pay cut. You’ve eliminated positions. But, how do you begin to restructure? How can you create an organization that has impact while being financially viable? This session takes a look at the dual-bottom line of nonprofits – understanding the true cost and mission impact of each of your programs in order to make difficult decisions for sustainability. Identify the components of the true cost of each program including direct, shared, and administrative costs. Calculate the subsidy or surplus that each program generates. Visualize your organization as a portfolio of activities that each contribute to the mission and financial well-being of the organization along with the strategic imperatives associated with different types of activities. Implement systemic strategies to advance your organization for programmatic and financial sustainability. These nonprofit financial analysis sessions drills down on the basics of accounting and finance. Bookkeepers, finance professionals, and new financial leaders will develop specific skills required to facilitate legal and sustainable nonprofit organizations. This session builds the foundation for financial management within associations by introducing how to read and use nonprofit financial statements as well as the fundamental concepts that go into creating them. We’ll review different types of nonprofit accounting, internal controls, and tactics to account for nonprofit revenue. Identify the type of accounting your organization uses and explain the most appropriate type for your organization. Read and communicate main messages of nonprofit financial statements. Identify, evaluate, and/or develop the most appropriate internal controls for your organization. To truly be a financial leader, one must first become financially literate. This session is designed to increase the financial literacy of senior leaders by removing the jargon so they can read and understand financial statements. This session will dive deeper into nonprofit accounting, highlighting the importance of monitoring cash flow. We’ll also use the financial statements to calculate key ratios to assess both immediate and long-term financial health. Finally, we’ll highlight the importance of reserves and lead a discussion on an appropriate level for reserves. Differentiate between cash and accrual accounting. Describe ways to monitor cash flow. Define and highlight the importance of reserves. Use financial statements to calculate key ratios (ie: current ration and quick ratio) to assess immediate and long term financial health.